Updated 9/21/16 with consideration of Citi’s new sign up bonus rule. If you’re just getting into the miles hobby or coming back after a break, it’s important to realize that there is an order in which to apply for credit cards that can help you maximize your award earning potential. Applying at random not only slows your award earning efficiency but can also result in unnecessary denials (and wastes of hard credit inquiries that affect your credit score), thanks to bank rules and sign-up bonus conditions. Where I’ve been through May 2016. You can do it too if you collect awards wisely! Look at all the cards offered by Chase, and pick up to five that you want. If there are five that interest you, get them all. If there are less than five Chase cards you want (we’ll call the number of Chase cards you want “X”), apply for 5-X Citi cards that interest you, and then X Chase cards. Over the course of time, apply for other Citi cards, Barclaycards, and Bank of America cards. At the same time, keep an eye out for the highest sign-up bonuses available from American Express cards and apply for them when you see them. Consider stopping or slowing down for 24+ months in order to re-up on Chase cards at some point. 1. Look at all the cards offered by Chase, and pick up to five that you want. 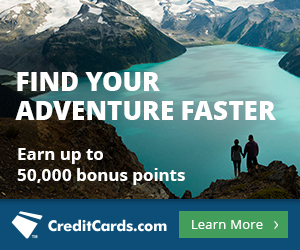 Chase has some of the best travel cards out there with incredible sign-up offers. If you have gotten any five credit cards total from any banks within the last 24 months, all Chase cards will be off limits to you– this is called the Chase 5/24 Rule. The rule previously only applied to Chase branded cards specifically (like the Sapphire Preferred, Freedom, Freedom Unlimited, Slate) but now it also applies to their co-branded and business cards (United Explorer, British Airways, Ink Plus). I suggest starting with these five cards. 2. If there are five Chase cards that interest you, get them all. You probably shouldn’t apply for more than two cards in a 30 day period. Chase is known for denying people who apply for more than that. That being said, I know people who have been approved for two personal and one business card from Chase on their first ever credit card applications. It is likely however that for any applications past the second in a 30 day period, you’ll have to make a reconsideration call for a pending application response if you want it approved. Reconsideration calls with Chase aren’t known for going as smoothly as they often do with other banks. 3. If there are less than five Chase cards you want (we’ll call the number of Chase cards you want “X”), apply for 5-X Citi cards that interest you, and then apply for X Chase cards. You are only eligible to earn a sign up bonus on a Citi card if you haven’t opened or closed a card from the same type (brand/co-brand) within the last 24 months. By applying for the Citi cards you want first (ONLY if you want less than five Chase cards) you will start that 24 month clock sooner, therefore allowing you to get these Citi cards for a second time more quickly than you otherwise could. I would pick the ones you most want to repeat (or ones within the same co-brand of another card you want) with the highest sign-up bonuses. And make sure to pick the most valuable sign up bonus within a Citi card’s brand/co-brand since you won’t be able to get another Citi card within that co-brand for at least 24 months. Confused about what I mean by brand/co-brand? Let’s say you opened a Citi® Hilton HHonors™ Visa Signature® Card seven months ago. That means for the next 17 months (a full 24 months after you opened it) you are not eligible for the sign up bonus from the Citi® Hilton HHonors™ Reserve Card, the other Hilton co-branded card issued by Citi. If you close that Citi® Hilton HHonors™ Visa Signature® Card, the 24 month clock will start over again and you won’t be eligible for any other Citi Hilton cards for 24 months past the date you closed it. Citi’s behavior regarding application timing is as follows: You can be approved for no more than one card in a week or two Citi cards in a 65-day period. If you want three Citi cards, get them on Days 1, 9, and 66. This is the timeline that has worked best for other people. Say you want two Citi and three Chase cards, get one Citi and three Chase cards on Day 1 and one Citi card on Day 9. 4. Over the course of time, apply for other Citi cards, Barclaycards, and Bank of America cards. At the same time, keep an eye out for the highest sign-up bonuses available for American Express cards and apply for them when you see them. You can only get the bonus on a American Express personal card or business card once per lifetime (with the exception of a possible targeted offer). This is why you should choose which offer you sign up with carefully. The American Express Platinum personal card and American Express Platinum Card Exclusively for Mercedes-Benz are separate cards, so you can get the bonus on each. Separately, you are limited to holding four American Express charge cards. Both personal and business count toward this limit. (Amex Platinum is a charge card). Applicants with zero Barclaycards may be able to get several at once. Applicants who have a Barclaycard will not be approved for another for at least six months since the last Barclaycard application. Barclaycard will deny people for having too many Barclaycards, not enough spending on existing Barclaycards, too much credit with Barclaycard, or too many accounts with other banks. As for the Alaska Airlines personal and business cards (the only Bank of America cards worth getting), you can get as many as you’d like at one time. I usually get one of each every 91 days, but people have gotten multiple at once or waited less time between applications. Putting these rules together, it is important to snipe Amex offers. You should always be on the lookout for very short term offers with huge bonuses like the 100,000 point offer on the Amex Platinum that lasted just hours. When these bonuses appear, jump on them. When Amex cards have their “normal” bonuses, skip them in favor of normal or elevated bonuses from Bank of America and Barclaycard. 5. Consider stopping or slowing down for 24+ months in order to re-up on Chase cards at some point. Remember that pesky Chase 5/24 Rule? If you stop collecting cards for a 24 month period, then it stops applying to you. However there is another Chase rule that comes into play here if you want to open a repeat Chase card: You can only get the bonus on the same Chase card once every 24 months, and this 24-month clock starts when you received the last bonus (which may be several months after you opened the account). So the actual waiting period before you can get a repeat sign-up bonus is 24 months plus the amount of time it took you get the bonus the previous time. Confused? Just not interested in doing the work yourself? No problem– we’re here to do it for you. Simply fill out this form and we will email you back with our personally tailored recommendations, often within hours. Voilà. Which Travel Credit Cards are the Best Right Now? Listed below are the top three cards out of my top 10 choices for travel credit cards at the moment. Note that I update this post monthly, so these are my top three choices as of September 2016. I think the Chase Sapphire Reserve is the best credit card offer ever. You get a $300 travel credit each calendar year, which can be applied twice within the first year of card membership for a total of $600 in travel credit. Chase Sapphire Reserve holders also get a free Priority Pass Select membership, which gives you access to over 900 lounges around the world, and free unlimited guest access to those lounges for anyone you’re traveling with. The Sapphire Reserve offers 3x Ultimate Rewards on travel and restaurants. Travel and restaurants are broad categories and include flights, hotels, car rentals, cruises, tolls, parking, Uber, taxis, restaurants, bars, fast food, and night clubs. The $450 annual fee is not waived, but you can see how the benefits more than make up for it. The Ink Plus by Chase is a business card that offers 60,000 Ultimate Rewards after spending $5,000 in the first three months. Ultimate Rewards transfer 1:1 to United, British Airways, Singapore, Korean, Southwest, Virgin Atlantic, Hyatt, and more. For the reasons presented in this post, this is one of the first three cards I recommend you get if you can get a business card. The $95 annual fee is not waived. The Chase Sapphire Preferred is a personal card that earns 50,000 bonus Ultimate Rewards after spending $4,000 in the first three months. Ultimate Rewards transfer 1:1 to United, Singapore, British Airways, Korean, Southwest, Virgin Atlantic, Hyatt, and more. For the reasons presented in this post, this is one of the first two cards I recommend everyone get. The bottom of this post contains an index for my latest Free First Class series, a collection of information to give beginners an general knowledge base. Issuing Banks Rules for Approvals and New Bonuses has all the bank rules mentioned throughout this post in an easy to digest, bulleted format. It’s great to bookmark for future reference in case you ever have a question when applying for cards. How to book a round-the-world trip in 2016– includes some of the most underpriced awards between all regions of the world. Choose the order in which you apply for travel credit cards carefully as it makes a serious impact on your award earning potential over the course of a lifetime. Apply for five Chase cards if there are five that interest you. If you want less than five Chase cards, apply for Citi cards first, but not so many that it would put you over a total of five cards when counting your desired Chase cards. Then move on to collecting other Citi, Barclaycard, Bank of America, and American Express cards, remembering to cherry pick the highest sign-bonuses for Citi and American Express cards. great article. I knew most of this but you put it in a great format. I’ve forwarded onto several newbies to this stuff. I thought American Express was also limiting the bonuses on the business cards to once in a lifetime. I just Googled it and that seems to be the case. Thanks Paul, you are correct. I have fixed the error. I don’t think Chase’s 5/24 rule has yet to be applied to co-branded cards like United, Southwest, etc., or did I miss something? yeah in my experience i’ve still been able to get the co-branded chase cards, but better safe than sorry probably. also, you might consider moving any barclaycards up to #2 on this list, i’ve been rejected by them multiple times for too many accounts at other banks. when i got my friend into points collecting i told him to pick up an arrival+ on his first or second round to make sure he’d be able to get one. I don’t think the AMEX four card limit is enforced anymore. I’ve called them and chatted multiple times over the past year and they all said i can have as many as I like. I took it with a grain since I’ve been burned by them on a different occasion. But last week we went for it and got the 5th personal card on a single account. Delta Gold (11mo), Everyday (7mo), Hilton (5mo), SPG (1mo), now Hilton Surpass. The Surpass took one day pending before approval and it was one month after getting the SPG. Both at the high bonus times. I’m in full agreement with this prescription. I’ve been talking with a lot of new people to this hobby lately and this is about the same prioritization I recommend. Is that an actual photo of your card stack? I suspect it is! 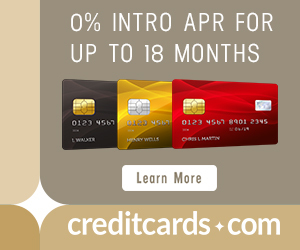 I thought the AMEX Gold is a charge card? Planning for Credit Card sign up bonuses years in the future is sort of like Federal Estate Tax planning when you die. Congress keeps changing the monetary value of assets exemption at your death for Estate Tax purposes, and I’m confident that a few years from now, the restrictions currently on sign-up bonuses, with either be tighter or will loosen (including Amex’s once per lifetime restriction). So, I agree some planning needs to take place, but we all need to realize that the rules are constantly changing, and we can expect the banks to shift their intentions and motivations, similar to the way congress changes their mind every few years on the death tax. Love my INK chase is the best bank put everything on auto pay then watch the points go up . GREAT post. I’m forwarding to newbies also. Any new suggestions on how to meet all those simultaneous/close together minimum spends? Thank you, Scott!!! Pay Ins.,IRS, Pre pay a trip,RENT was a good one for me got $4300 off Chevy . Don’t waste a card . I try to be always meeting minimum spends. It does feel like a waste not to be, and getting additional cards for my husband and son helps there too. Wish I could pay my mortgage with a card! Is there a simple anonymous way to determine how many credit card accounts you have had in the preceding 24 months so you can get some idea where you stand on the Chase 5/24 rule? Incorrect IF U have other credit cards (6) with chase they may not pull ur report .Chase TOAD me that and Lifelock too . I would call them and ask then apply on the phone . No voodoo here chase has always been nice and direct and it may take a while to show up on your credit report . We know most have errors . Are all Citi cards that earn Thank You points considered to be part of the same “family”? For example if I close a Premier card do I have to wait 24 months to get a sign-up bonus on a Prestige? Just got 2 chase cards. If I want to get the bonus in another 24 months are you sure it is not based on when you cancel the card. For example if I get the Chase freedom bonus in March 2017 but don’t close the account until March 2018. Can I reopen the Chase Freedom in March 2019 or March 2020. It supposedly is based on when you received the bonus on the first card. You shouldn’t reapply until 24 months after that. The original card must also be closed. I do not think your eligibility for the repeat has anything to do with when you close the original, although it obviously wouldn’t be wise to close it right before you apply for the repeat. I’d give it at least a month. Of course with these things, one can never be 100% sure. This is just what I’ve read and gathered based on the experience of many others.